Nostradamus’ Curse Against All Charlatans – Dr. Turi M.D.U.S. 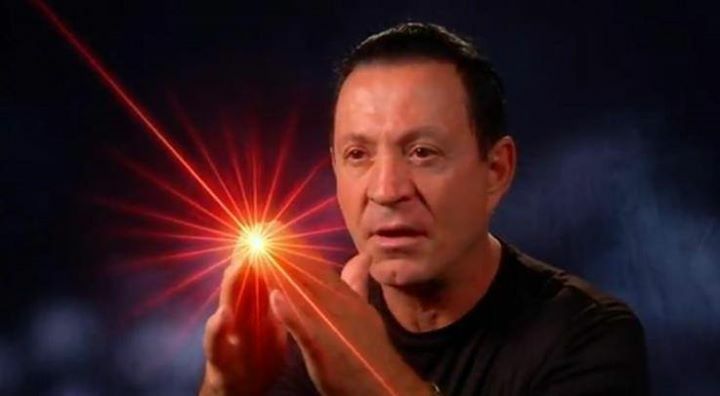 LISTEN TO DR. TURI DOING PREDICTIONS FOR OBAMA, THE WORLD, FINANCIAL COLLAPSE USING NOSTRADAMUS 16TH CENTURY METHODOLOGY – Dr. Turi was on radio tonight ( 05/08/2013.) Are you a radio/TV host? If so read please. NOTE – THIS IS AN OLD ARTICLE PUBLISHED MAY 9, 2013 THAT HAS BEEN EDITED/UPDATED! My new appearance with Jeffery on the “Church of Mabus radio show” December 14th should be archived and if it is not LISTEN to dr.J and I discussing the Antichrist theory! I always thought it meant May Be Us. Over the years I formed The Church of Mabus radio show and I have discussed this topic on and off in the past with guests. I thought when Osama died there was a connection with this quatrain. And that also it was more of a pointer for a sign of an era than anything else not to mention the sheer prophetic powers of Nostradamus hitting the nails right through the hands so to speak. I ask Dr. Turi these questions and he can explain much more eloquent that I can. I often have wondered myself if some of my misfortunes have developed because of interest in this subject as well. I hope you enjoy this as much as I did. 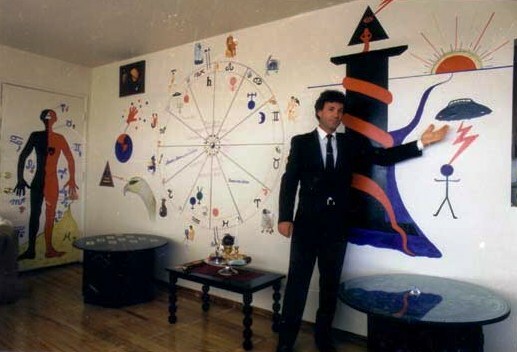 I simply mentioned that I was born in Provence France under the same stars as the Great Prophet and worked endlessly (I am 69) to rebuild his rare Divine Astrology methodology. All this happened following my 4th UFO experience. Then came Draco… My wisdom comes from ET’s downloading the Cosmic Code jurisdictions August 11th, 1991 in California, years of studying of Nostradamus’ Divine Astrology and the channeling of an ET entity called Draco. 2. As you know I run a radio show called The Church Of Mabus. I view Mabus as May Be Us. Or ObaMabush OsamaBush or all of the above. I also believe the Mabus prophecy fulfilled when Osama died and then the comet Elenin ran and there was a horrible undoing of people which persists to this day. Of course nothing is in absolutes but what do you think of this and the Mabus prophecy? But what about the “anti Christ!” Or Mabus the promoter of the truth? This translate into the reptilius using religions, science, false hopes, fears, ignorance and the unawareness and misuse of the Supra-conscious in time and space so they can still feed on humanity psychical decay! Watch this video to understand me better. A few years back, I was invited in “The Lost Book of Nostradamus” TV show and after 10 hours taping me in San Antonio Texas, I was featured only 15 seconds in the production mostly because none of the cosmic unconscious producers could relate to Astrology and the information I provided. The fact remain that 99.09% of the world’s population is still metaphysically unaware and unconscious of their own UCI or “Unique Celestial Identity” and totally depraved of Cosmic Consciousness. Indeed the stars are much more than dead rocks hanging above for astronomers to play with. God gave them to humanity for interpretations so that humans can lead a more productive and safer life! The Antichrist, to a certain extend, is within every one of us and every famous or infamous reptilius infected greedy people and atheist scientific or religious corporations, various satanic groups “THE ANTICHRIST AT WORK” ready to challenge the status Quo and bring havoc , insecurity, and fear to the entire world. Christ was the representation, the channel and icon of love, forgiveness, education, harmony, wisdom and peace. But for centuries religions were used as an excuse to gain power, build wealth, kill and ravage countless of lives. The Antichrist is more of a truth seeker, much like me, a wise soul, someone, anyone willing to battle any and all forms of ignorance, fear, deception, abuses, educate others and expose God as he is; an eternal, cosmic entity! 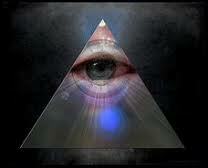 The Antichrist mean anti religion, anti submission, anti misinformation and anti manipulation! The word Antichrist should be interpreted objectively, not textually. 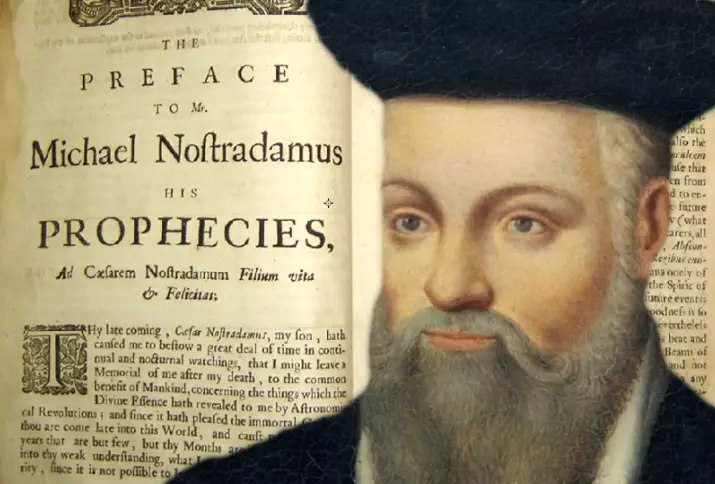 For centuries, famous writers from all walks of life have sought to translate Nostradamus’ work on his prophecies, the Anti-Christ and his own life. Nostradamus was in his own right an “Antichrist” of his time and had to battle the Inquisition to stay alive. First, a full translation of the 16th-century Old French into our modern French language is needed. The vocabulary was very different and sentencing unique over 500 years ago. Second, The great Seer was born in Provence in the southern part of France, and mastering its quickly disappearing local dialect called “Le Provençal” is impossible for many Prophet wanna be. One would have to take a course in languages such as, Greek, Arabic, Latin and Italian. Third, you must master and practice his rare method of Divine Astrology which has nothing to do with modern Astrology methodology. Fourth, this also means taking references in the disappeared old calendar’s alignment of planets and a myriad of other spiritual studies. 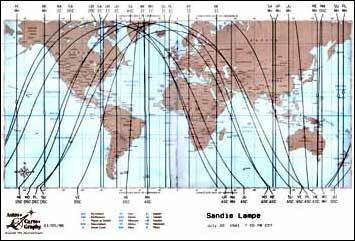 Most of all, you must be born with a unique Astrological chart or UCI in order to understand where the Prophet was coming from in predictive Astrology. There are NO schools producing geniuses and it is your inherited stars which will dictate, as with Nostradamus, Einstein, Beethoven, Mozart and Michael Jackson if you were born with any gift and natural inborn abilities. Most interestingly, notorious healers, and prophets such as Edgar Cayce and Madame Blavatsky were also born with the same Pisces dragon’s Head as Nostradamus. Not aware of the “curse” placed on fools by the Seer, charlatans, writers or incompetent Astrologers and many who have directly or indirectly hurt Nostradamus’ integrity will have to answer and pay the price for their ignorance. I strongly recommend anyone remotely involved with Nostradamus’ work to read his own words in the following very carefully. To those of whom, and there will be many throughout the centuries, who want to translate my verses, I offer this warning. That, when they read them, they reflect on them profoundly, so that, in their great understanding, they will find words to keep the profane and the ignorant far away. 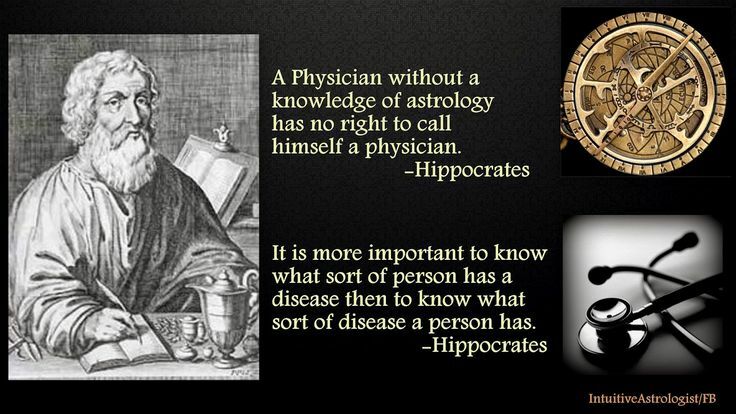 Likewise, popular Astrologers, deceiving writers, fools and charlatans. Events of human origin are not certain, but everything is ordered and governed by the incalculable power of God, inspiring in us not through drunken fury, nor by frantic movement, but through the influences of the stars. Only those divinely inspired can predict particular things in a prophetic spirit For a long time I have been making many predictions, far in advance, of events that have since come to pass, naming the particular place. I attribute all this to divine power and inspiration. This has been the cause of my withholding my tongue from the populace and my pen from paper. Later, because of the ‘vulgar advent,’ I decided to give way and, by obscure and perplexing sentences, tell of the causes of the future mutations of mankind, especially the most urgent ones, and the ones I saw, and in a manner that would not scandalize their delicate sentiments. All had to be written under a cloudy figure, above all things prophetic. Now or in the future there may be persons to whom God the Creator, through imaginative impressions, wishes to reveal some secrets of the future. Let it be in accord with judicial Astrology, in much the same manner that in the past a certain power and voluntary faculty came over them like a flame, causing them to judge human and divine inspiration alike. For it is by this, together with Divine inspiration and revelation and continual watches and calculations, that we have reduced our prophecies to writing. But what I do want to make clear to you is the judgment obtained through the calculation of the heavens. By this, One has knowledge of future events while rejecting completely all-imaginative things one may have. With Divine and supernatural inspiration, integrated with astrological computation, one can name places and periods of time accurately, an occult property obtained through Divine virtues, power, and ability. In this way, past present and future become but one eternity; for all things are naked and open. 3. Mabus is said to be the Anti-Christ which I am not sure I buy completely. Does Nostradamus ever say Mabus is the Anti-Christ? Dr. Turi: Nostradamus spoke / wrote in a Neptunian language fashion. Nostradamus was born with his Mercury (the mind / communication / writing) in Pisces ( dreams / subconscious / spiritual / vague / psychic / creative) adjacent to his natal Dragon’s Head (protection/growth/good luck) also in Pisces. And deceptive, religiously poisoned infected Neptunians and cult leaders are everywhere… All furthering man religious folly! The way Nostradamus expressed himself can only be confusing to souls born with a more Saturnian/logical/rational/engineer like) UCI. Nostradamus was coming from the archetypal realm of supra- cosmic consciousness while “normal” human are coming from a much lower logical vibrations. 4. What can you tell us personal about Nostradamus’s life pulling from your memories? Anything you’d like to share? Dr. Turi: Nostradamus was “computerized” like any other human beings to perform on this dense physical world. So did Hitler, Osama Bin Ladin and all the famous/infamous souls who made history. Like Michael Angelo, Washington and Einstein Nostradamus, you and I, Meantime the rest of the world is *unconsciously responding the to pull of the stars (the cosmic code) and Nostradamus happened to be more conscious than his peers 500 years ago just because he studied Divine Astrology. Being curious, ingenious, smart, gifted and intelligent is a cosmic program all humans beings have or have NOT inherited all based upon their karma! Indeed Nostradamus’s life and legacy can only benefit only a minority and my students and I are indeed a rarity. 5. Can you tell us any prophecies for the future for the world stage? Perhaps from your own prophecies you’ve written that approach or just happened. Dr. Turi: I have and will make more predictions for 2019 in various radio shows and some involving large earthquakes came to pass. But for sure the Antichrist world movement is something I worry about because a Godless atheist world is as bad as a world run by religious fanaticism or ISIS! THE ANTICHRIST AT WORK. The reptilius influence the religious and scientific matrixes popular leaders, atheists and Satan cult leaders’ organizations. Those nefarious entities have bases on various parts of this world and one is located at the Mabus Point, a cape on the Antarctic coast. Memo to all my supporters, the return of Hitler’ spirit will curse America – Predictions published June 8, 2013 – Ready for November 2018 SOS to the world deadly windows? Consequently the entire world is now forced to suffer and experience the stars and karmic fate of the most powerful man on the planet! My work is NOT political but spiritual in nature thus realize that electing any President .i.e Hitler, will force the entire world to experience this karmic soul’s fate! Time for the world to listen to a REAL modern Prophet! 6. What have you predicted before that has come true? I know you have predicted Earthquakes and natural disasters. What can you tell us about this for our readers? Dr. Turi: My record of well documented, printed, dated prediction on radio, television and my books is 98%, this is why many famous radio hosts invite me regularly. Including George Noory on Coast To Coast invite me regularly on his show. Check my latest prediction of two large earthquakes on radio or read more my predictions of large earthquakes here. Once the world finally acknowledge these words the future of humanity will be much brighter. 7. Politically in the United States it seems to be in much turmoil to a point of chaotic psychosis. When it comes to the election in November. What do you think the outcome will be as to who will be or continue to be our President and the fate of the nation? 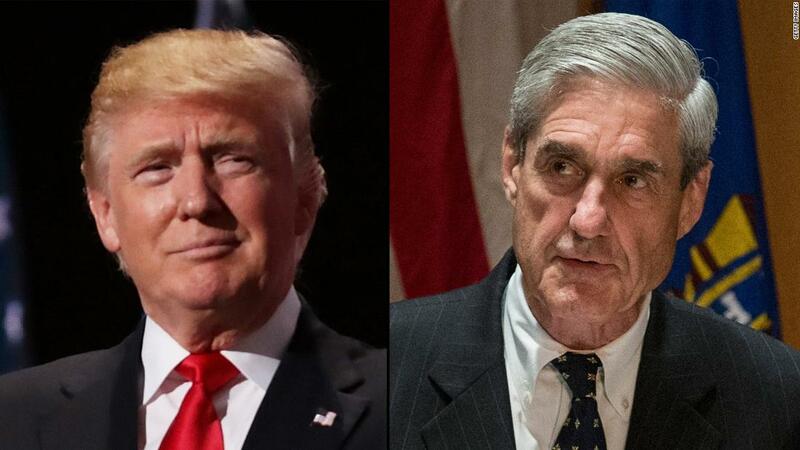 Dr. Turi: President Trump is a dual thus prone for re-election but with the tail of the dragon in his 8th financial house a lot of skeletons/Russia/IRS collusion etc. will have to come out of the closet. – And if he gets re-elected chances for my prediction of his assassination will rise to the roof. Back in 2007 I made a specific prediction for a full re-structure of the US economy on Coast To Coast and mentioned the rebirth will start in 2012. I also said that; when the new “One World Trade Center” become operational America will be born again, economically stronger and better than before. 8. What can you tell us about Obama? I voted for Obama and find that he’s a much better choice than Willard Mittens Romney. Your true thoughts on him? Dr. Turi: Obama was born with an Aquarius (altruistic) Dragon’s Tail (negative/shocking) and a Leo (fame/power) dragon’s Head. Like Princess Diana an “explosive/shocking” end or heart attack is ahead of him. 9. In your recent post at your site you titled a post Kill All The Cops Now! Which was pretty full of balls. lol What was your purpose behind this and the message you wished to convey? Dr. Turi: To never assume anything before reading my message, something human ( and the Law Enforcement Elites) tend to do naturally. I really want to save police officers’ lives I do not want anything wrong to happen to them. You will get my message when you start reading it, I used reverse psychology. Kill All The Cops Now! was published Aug 4th 2012. 10. You say UFOs are very real and left you with a legacy. What is this legacy that you speak of? 11. What can we expect from Dr. Turi in the future and would you please share all your links with us before you depart. Thank you. Dr. Turi: You Jeffery, all my readers, students, patients, clients, friend and foes are the makers my fate by their very thoughts and expectations… I happen to know that! JOIN US BE PREPARE, BE WISE, BE SMART! 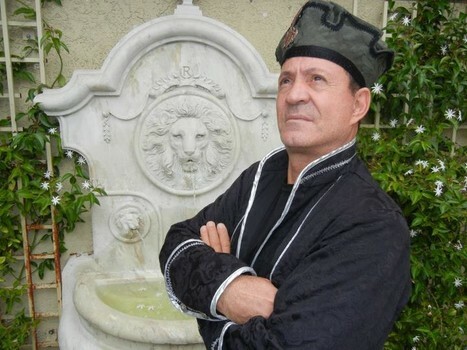 Jeffery Pritchett is the host of The Church Of Mabus Show bringing you high strange stories from professionals in the carousel of fields surrounding the paranormal. You will become a VIP only when you are ready and read non publicized Cosmic Code Newsletters, our solid guidance and prediction for 2019 – As soon as you become a Cosmic Coder you will enjoy more of my educational material. A real spiritual Master is a very rare thing join the world, be warned! 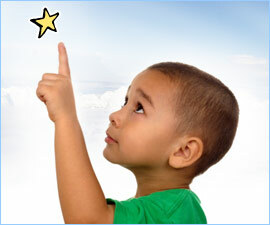 A life without knowledge of the stars’ plan is contrary to all law and orders!